Lisbon slopes down towards the sea, and following the hills to their natural conclusion you can stand in the flat expanse of the praço do comércio and gaze out across the Atlantic at the seemingly never ending expanse of sun, sea and sky. In comparison to dusty Spain, Portugal seems fresh. Although on the edge of western Europe, it boasts a mix of peoples that the big central countries just cannot offer. It’s principal cities are all coastal and in them you can find an outward looking attitude as food, culture and accent are interwoven in waves of multiculturalism. Add to this beautiful countryside, spectacular beaches and good flight connections back to the UK, not only from Lisbon but also southern cities like Faro and well… you might never leave. Portugal, like most countries in the south of Europe has suffered the brunt of the financial crisis. The boom days of English language teaching offered up by the expansion of the EU in 1986 are long over and money from Europe that was previously set aside for education has been allocated elsewhere. However many academies are still thriving, due to the large number of unemployed who want to improve their English to bolster their job opportunities. Porto and Lisbon both contain a wealth of academies offering opportunities for teaching English in Portugal, though there are substantial differences in pay and conditions between schools. You can earn about €8 an hour with one of the smaller academies and be paid with recibos verdes (effectively paid by the hour with VAT deducted) that mean you are freelance and allow the school to let you go with no notice and no compensation. However an entry level position at one of the more prestigious schools such as the British Council could earn you up to €20 an hour, on a standard contract. More positions could become available to you if you learn the language, some teachers ultimately move into university departments, where pay and conditions are above the rates offered by academies. As always private classes are an ideal way to earn a bit of extra cash and many students have no qualms about paying exactly that. Whilst you are unlikely to get caught by the taxman, and it may seem that everyone does it do bear it in mind that you should declare income over a certain amount. In addition to this many of the smaller schools are extremely wary about teachers building up a network of private students and taking away business. This becomes less of a problem in bigger cities and bigger schools, but private classes can potentially be a contentious issue between you and your employer. There are many schools that present the opportunity of working for them like a holiday, offering a short TEFL course and then a salary of around €1000. These schools vary considerably and depending on the people on your course and the students you initially teach, it could be a good option for you or a chaotic nightmare. It depends on the kind of person you are, but it is possible to start teaching in Portugal as a complete beginner, without a degree, simply by being a native English speaker. There are plenty of schools and TEFL companies that offer a package, a TEFL course and opportunities afterwards. This is the best way in if you’re an absolute beginner in terms of teaching as it offers you an opportunity to make friends and share your experience. If you are going to travel there mid-term I would recommend doing some research first or going just after one of the holidays, Christmas or Easter. http://www.appi.pt/jobs/ – is a pretty legitimate resource for looking at jobs and other work related issues. Other forums are easy to find on Google, but a lot of them have a focus on richer ex-pats and retirees so it’s more recommendable to go through ESL sites or word of mouth. 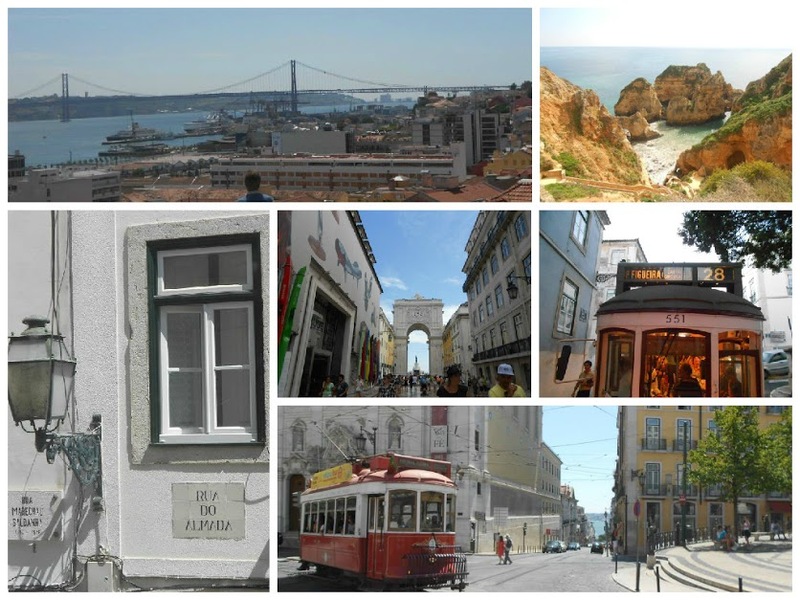 Lisbon obviously has the most opportunities and as the capital and administrative centre it’s home to many international companies and rich families. It’s a lively mix of a city, with sweeping avenues, bustling markets and an efficient clean metro system to take you from A to B. In your time off it’s extremely pleasant to take one of the trams that trundle up the hills to tiny cafes and restaurants overlooking the bay and drink vino verde (though the trams can be frustrating if you’re in a hurry!). Porto has never been a rival to the economic draw of Lisbon, but it’s an immensely enjoyable city in it’s own right. The historic centre is a UNESCO world heritage site and Porto was made European capital of culture in 2001, meaning that there is an abundance of galleries and nightlife. This is all of course fuelled by port wine, the city’s most famous export. The weather is slightly less consistent than in Lisbon, but really both cities are great places to live and full of language schools. Fifty kilometers away from Porto lies Braga. The city itself has a population of around 70,000 people, but a lot more live in the surrounding area. There are several reputable language schools here including an International House, so it represents a good opportunity if you prefer to live in a smaller city. Significantly smaller than Lisbon and Porto is Portugal’s third city Coimbra, you can tell this as there isn’t an English translation of the city name. Again it is filled with beautiful buildings, and they serve as more than just photo opportunities, as the city’s UNESCO approved university serves as the focal point for cultural life. Coimbra represents an opportunity to teach English at degree level, whilst these positions are often snapped up quickly, there are still plenty of students around looking for private English classes and, of course, excellent and cheap opportunities for partying. Faro is the largest southern city in continental Portugal with a population of 50,000. The principal attraction is that it is well connected to the beauty of Algarve and southern Spain, not only by location, but also by a great inter-regional bus service too. The city itself has a university and 30,000 seater football stadium, that was one of the venues for Euro 2012 and is now being used as the venue for the Gibraltar national team. So you could go and see (a part of) ‘England’ play. Sort of. There are not so many language schools here, but they are opportunities for private classes with university students. If you would like to live here I’d recommend having a firm plan, rather than just showing up! Taking into account the standard 24 hour a week teaching timetable, Portugal presents a good opportunity to live well. Superbock, Sagres and other local beers are cheap, about €1.50 for half a litre, and tasty. Sardines, one of the national specialties can be enjoyed fresh almost anywhere in the country and you could have a meal in an inexpensive restaurant, of which there are plenty, for between €5 and €8. If this kind of lifestyle appeals to you, then you’ll have a brilliant time in Portugal. If you’d like to save a ton of cash, then perhaps you should look elsewhere. Prices are highest in the capital, where you could expect to pay half the average teaching salary for a one bedroom apartment, €500 per month. This drops significantly in other cities with about €300 being the bottom end of the range for city centre apartments. It is of course cheaper if you rent a room where you have some very competitive prices. http://portugal.gabinohome.com/en/ is a Portuguese website like Air B n B and it has some really good offers. A word of warning there are some areas outside the city centre such as Mouraria, Chelas and Martim Moniz in Lisbon that have a bad reputation. Whilst there are plenty of hardworking, normal people in these cheaper areas, they tend to be less safe for outsiders. So living someone central is certainly easier. List of English language schools in Portugal. Portugal is a beautiful country and there is a great mix of people. I’ve personally found it more open and welcoming than larger European countries and I hope you do too. If you want to live a Mediterranean lifestyle and still eat spicy exciting food and aren’t too bothered about earning megabucks, then Portugal is for you. David Brown is a creative writer and teacher. If you have any questions for David or also have experience teaching English in Portugal and would like to add some additional advice for prospective teachers please leave your reply in the comments section at the bottom of the page. TEFL teacher with experience working in Chile and Portugal. Other cities (with their languages schools) could be added, in order to diversify the portuguese experience. Aveiro, Viseu, Évora, Castelo Branco, Tomar, Leiria and Guarda (for instance) deserve a few lines as they also have much to offer. Great article. Would like one on Chile too. Dear David Brown, just a simple question, do you think a TEFL certificate holder from Pakistan (Non-Native English speaker) has chance to migrate to Portugal and get job as English language teacher? At last,an open,honest and personal view of working in Portugal. Thank you. I am a 20 year veteran of teaching – mostly English. For the past 13 years I have been teaching in colleges and universities. Currently, I am teaching in the UAE – Department of Writing Studies. I would love to live and work in Portugal, but based upon my experience and qualifications, I would prefer a uni position. Any thoughts? I’m an undergrad about to graduate…I know Spain has the famous “Auxiliares de conversación” program, but does Portugal have anything similar that you’re aware of? After extensive googling I haven’t come up with anything. Thanks so much! I should have mentioned that I’m from the US! Thanks again. Hi David! Thanks for your time to share this for us. Its really inspiring! Unfortunately I dont have citizenship from EU. Im from Turkey and I know its double process. I will receive my TEFL from Los angeles. I used to live in portugal and I wanna go back there again. Im taking portugues classes. What kind of way I should follow to find a job there and be legal? As I searched I need to find contract job for get my residency, but most of the language schools dont have contracts. Can you give your opinion ? I am on my way to getting my TEFL certificate and graduating with my bachelors by this May. I am a US citizen, with no EU passport. I have studied in Spain and France, and am fluent in both languages, and it is my biggest dream right now to live in Portugal. I have read that it was one of the hardest countries to get hired in without EU passport though. Do you have any advice? Hey Rachel! I have almost an identical question–did you find out anything? Thanks! Hi. I actually teach in Spain and have visited Portugal on a few occasion and I also know people who have worked/studied there. From my personnel experience, and from what I’ve been told, practically all Portuguese are familiar with English, for example, English films on the TV are never dubbed in to Portuguese. It’s also a good place to go if you live in the EU for obvious reasons. Take care! Your article has been very useful to me. I am a Portuguese native and have been living in London for over 20 years now. I have decided to move back with my partner and children, would I be able to just be TEFL qualified and get a decent job? I speak fluent Portuguese and English and can read and write in both. I have had a holiday home in Castelo Branco in the mountains for four years now and love the country. I want to make 2017+ more viable to be able to spend more time here. At the moment I go back to he UK for work. I have a Masters degree in leadership and management for learning and have been teaching and training for over 20 years. I have just qualified in TEFL and so has my husband. We only want 2-3 days work a week. I have been wondering about major requirements to obtain teaching position in Portugal . I am polish citizen which means not native ,is it possible to get a job as an English teacher in Portugal ? At the moment I am working and living in Vietnam . Got BA degree from UK , Tefl and teaching experience . Any advice would be highly appreciate . Hey Pawel. In Spain and Portugal the native idea tends to be prominent. Less so in Portugal, but it’d be well worth looking for offers before you leave, Hope this helps. With all respect Pawel, you need to work on your “a” and “the”. It stands out a mile in your writing and the Portuguese have articles in their language and will notice it. Polish doesn’t have them, but they are essential to English. Good luck. I am really interested in teaching English abroad in Portugal but I do not have a BA is it still possible to teach in Portugal if I just have my TEFL certification? Thanks for reading the article. You’re in a slightly unusual situation as in my experience a lot of TEFL courses ask for a BA/first degree before you start the course. Just to confirm do you not have a first degree in any discipline? However as the TEFL is a direct teaching qualification and a BA often isn’t I’m sure most companies would be interested in at least interviewing you. I’m in a similar situation, no BA! Like Ted Nugent I was too busy doing more exciting things then and that conflicted with my finishing the two university courses that I had started. That said, I have a 28-year experience teaching ESL internationally, I am a ( new ) Portuguese citizen, speak the language perfectly, and I’m a native speaker of American English. What would my chances be in Portugal? I plan to relocate there soon! Cheers, David, and thanks for the great article. Thank you for this article. I’ve been trying to get more information on Portugal. Can you please tell me if non EU citizens can receive a work permit there? And if so do you know anything about the application process for the visa or do the employers assist with that? I know that in Italy and Spain it is near impossible. I have a BA and a 120 HR TEFL certification and am currently teaching in Czech Republic. I am a Canadian Grade 8 teacher with the Toronto District School Board (15years), qualified to teach middle and high school. I do not have a TEFL diploma or certificate but will complete one if necessary. I have degrees in Economics and Sociology, in addition to my teaching certificate from St Marguerite D’ Youville, New York. Interested in teaching in Faro. However, I am only looking at short stints a school term/ semester or less. Is this a possibility? Will look at the web site you’ve listed for Faro. Thank you for any information and assistance you can render!